Take a look at nearly any recipe, and the one common denominator will be measurements. To someone familiar with common measurements, this isn’t an issue. But for someone unfamiliar with what these measurements mean, there’s no way to accurately follow a recipe, which makes cooking and baking nearly impossible. Beyond understanding basic measurements, being able to convert from different measurement scales can be crucially important if you want to be a versatile cook or baker. For example, what if you want to double or triple a recipe? Or conversely, cut a recipe in half? Or what if a recipe is in one type of measurement, but you only have tools to measure in another measurement type? Having an understanding of measurements is fundamental to any cook or baker, and is a valuable skill to possess. 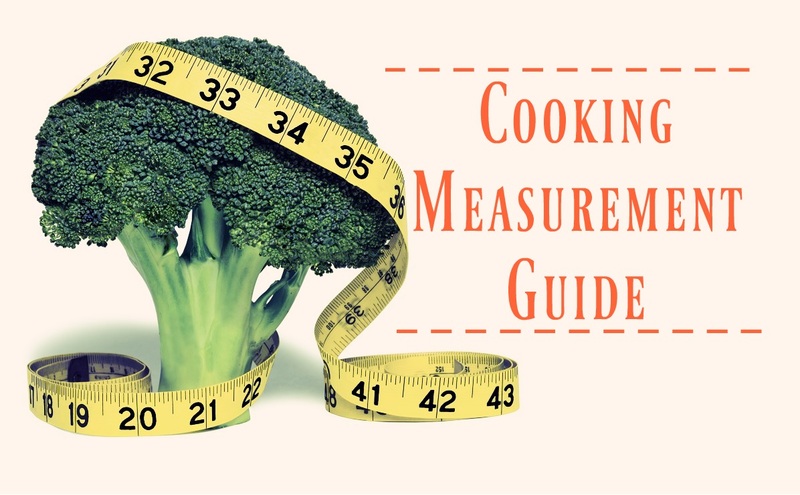 In the world of cooking and baking, you’ll generally run into the same types of measurements. If you can master these, you’ll be able to measure out nearly any recipe in existence. Note that the United States mostly uses ounces, fluid ounces, cups, tablespoons and teaspoons. Much of the rest of the world uses grams and liters (along with kilograms and milliliters). The United Kingdom is somewhat of a middle case, having switched to grams and liters not long ago. You’ll still sometimes find measurements in ounces in the United Kingdom. Ounces are mostly used in the United States, especially in regard to food. However, the ounce remains in some use in the United Kingdom and other English-speaking countries. The abbreviation for an ounce is oz. Fluid ounces measure volume, often of liquid. A fluid ounce represents the amount of volume taken up by one ounce of a substance. More precisely, there are two types of fluid ounce measurements: The imperial fluid ounce and the US customary fluid ounce. The US customary fluid ounce is about 4% larger than the imperial fluid ounce. The abbreviation for a fluid ounce is fl. oz. The gram measures weight, and is the unit used by much of the world rather than the ounce. As part of the metric system, grams have a stratum of groupings based on size, which is defined by the National Institute of Standards and Technology. A kilogram is a larger unit of measurement, about double the weight of a pound. A gram is considerably smaller than an ounce, with about 28 grams making up an ounce. The abbreviation for a gram is g, and the abbreviation for a kilogram is kg. The liter is a volume measurement in the metric system, the equivalent of the fluid ounce for most of the world outside the US. 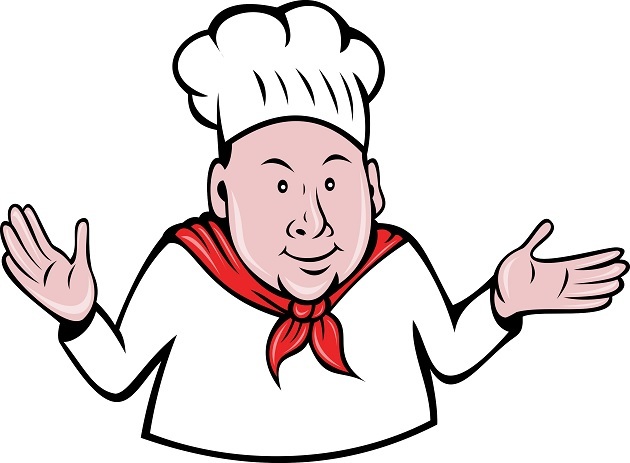 In cooking and baking, you will also find the use of the milliliter, which is a smaller breakdown of the liter. A liter is roughly the equivalent of a quart, while a fluid ounce is roughly the equivalent of around 28 milliliters. The abbreviation for a liter is L (sometimes lowercase), and the abbreviation for a milliliter is mL. An extremely common cooking and baking is the cup. The cup is a measurement of volume, and is often broken down into fractions such as a half a cup or a quarter of a cup. It’s worth noting that there are a number of similar though slightly different cup measurements. There’s a metric cup, an imperial cup and a US customary cup, which is defined by the FDA. Cups, along with tablespoons and teaspoons, are the backbone of measurements in most recipes in the US. The abbreviation for a cup is C.
The tablespoon is another volume measurement, smaller than a cup. The tablespoon marks a transition in size after 1/4 cup. The tablespoon is usually not broken down into fractions. The abbreviation for a tablespoon is Tbsp, with the T generally capitalized. Sometimes you’ll see Tb or T instead. The teaspoon is the next step down from the tablespoon in terms of volume measurements. Unlike the tablespoon, you will very frequently see the teaspoon broken down into fractions, usually down from 1/2 teaspoon to 1/8 teaspoon. The abbreviation for a teaspoon is tsp, always all lowercase letters. As any cook or baker knows, from time to time you’ll need to convert from one measurement scale to the other. Most cooks and bakers have measurement tools in only one type of scale. In the US, this will usually be cups, tablespoons and teaspoons. So what happens if you get a recipe indicating ounces or fluid ounces, or a recipe from a country using the metric system and indicating measurements in mL or g? Knowing how to convert from the units the recipe measures in to the unit of your measurement tools is the only way you can properly make that recipe. We’ll break down a number of commonly used conversions, which you can use as a handy guide when the need to convert arises. If you’re a cook or baker in the US, you probably don’t have measurement tools to handle metric measurements. That means that if you want to measure out quantities listed in either grams or liters, you’re going to need to make a conversion. To start, grams to ounces: An ounce is a larger unit than a gram. If you want to go from grams to ounces, you’ll need to divide the number of grams by 28 to get ounces. Dividing by 28 is a hassle, though. Every 100 grams is 3.5 ounces. Usually, a measurement by grams will be a significant number, so using the 100 grams trick should usually help. To convert from ounces to grams, it’s the reverse process. Multiply ounces by 28 to get grams, or every 3.5 ounces equals 100 grams. Moving on to volume measurements: The conversion you’ll probably have to do is fluid ounces to milliliters. This conversion is very similar, as one fluid ounce is equal to 28 milliliters. To go from milliliters to fluid ounces, divide by 28 or convert 100 mL to 3.5 fl oz. To go from fluid ounces to milliliters, multiply by 28 or convert 3.5 fl oz to 100 mL. In order to convert from ounces to cups, first you’ll have to know which type of cup you wish to convert to. US Customary Cup – 1 cup equals 8 fluid ounces. Imperial Cup – 1 cup equals 8.12 fluid ounces. Metric Cup – 1 cup equals 8.45 fluid ounces. This is an especially useful conversion set when you’re shrinking the size of recipes. Often times, you’ll need to reduce something like 1/4 cup and you won’t have a measuring tool small enough for that without going into tablespoons or teaspoons. Cup to Tablespoons – One cup equals 16 tablespoons. This also means that 1/4 cup equals 4 tablespoons, which is handy to keep in mind since that’s usually the threshold where you’ll be switching from cups to tablespoons. Tablespoon to Teaspoons – One tablespoon equals three teaspoons. Getting familiar and comfortable with measurements is an essential skill if you’re interested in cooking or baking. Having the ability to convert measurements between scales will allow you to use recipes from any source and tailor them to your tools and needs. A 4 cup (1 quart) glass measuring cup, which can withstand hot liquid. If all of these are in your home cooking or baking arsenal, you’re ready to measure whatever you need to.